Mid Bloomer. Shrub, long spikes of delicate white to blue flowers. Notes: Buckthorn family. 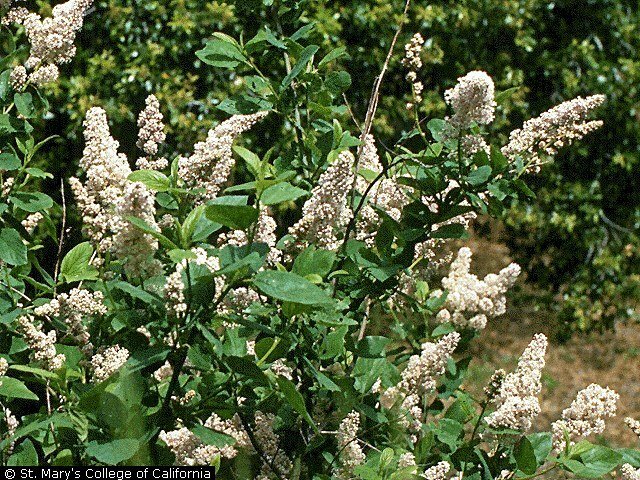 Also called California Lilac or Wild Lilac. This is a graceful, fragrant shrub, 3' to 12’ tall with Lilac-shaped flowers blooming April to May. Prefers dry slopes. 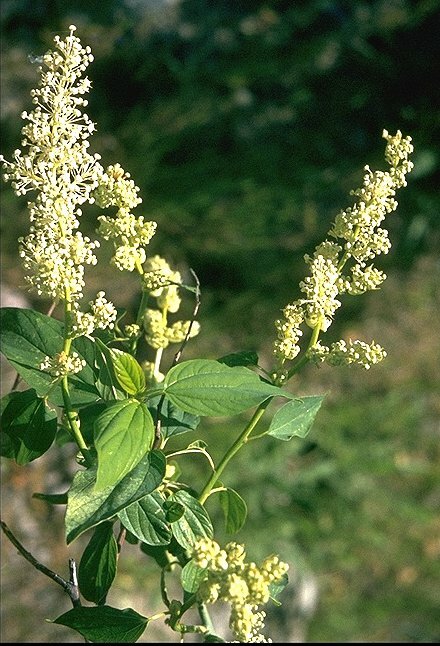 The bark and roots were used as an astringent and tonic; it used today for that purpose. The roots were used to make a dye. The leaves can be smoked like tobacco. There are many species (at least 45, mostly in the west) which easily hybridize, making identification difficult. USDA lists 64 Species and 85 accepted taxa overall for genus ceanothus, which comes from the Greek meaning thorny. Species Ceanothus integerrimus Hook. & Arn.